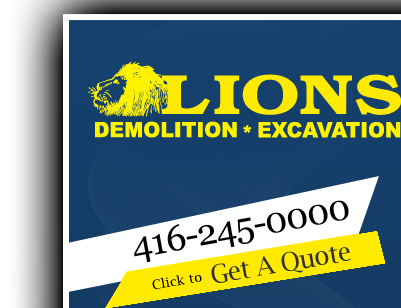 The health and safety of all persons on a jobsite is of paramount importance to Lions Group Inc. Providing the safest possible work environment is a major continuing objective; to complete all projects without injury to workers or damage to property and equipment. In the pursuit of a safer workplace, we recognize that risks must be anticipated, identified and controlled to prevent injury and illness. Lions Group Inc. is committed to the protection of all its employees, physical assets and other resources, Safety is the direct responsibility of our managers, supervisors and employees and we recognize and accept the challenge of minimizing both the risks and environmental impacts inherent to our industry. All Lions Group Inc. management practices are in compliance with company safety requirements as they relate to planning, operation and maintenance of facilities and equipment. Excellence in health and safety performance is the ultimate goal of the Lions Group Inc., and we are committed to it, throughout our entire workforce: from senior management down to individual project site workers. It is integral. In fulfilling this commitment to ensure the protection of both people and property, Lions' management provides and maintains a safe and healthful work environment in accordance with industry standards and in compliance with legislative requirements.